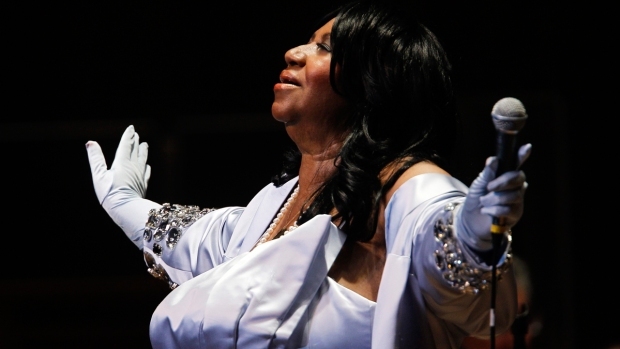 This combination of photos released by Julien's Auctions shows various outfits belonging to the late singer Aretha Franklin. More than 30 dresses and accessories worn on stage by Aretha Franklin are going up for auction on Nov. 10. The items will go on display between Nov. 5 and Nov. 9. at the Hard Rock Cafe in New York.